Video Production - Robert Maxwell: Photographer. Videographer. Web Designer. Educator. Click an image below to watch a video I've produced, or go to my Portfolio for more examples. Digital video is the sales language of the 21st century, and high quality video can help grow your business and increase profits. Through the use of my professional camera and sound equipment, studio-quality computers and editing software, and keenly developed sense of visual beauty, I’ll share your story with the world in a way that will connect with people emotionally, and powerfully convey the message you’re after. HOW MUCH DO YOU CHARGE For VIDEO? Typcially 1 - 10 minutes and fairly straightforward, the majority of my clients opt for this. A wide variety of marketing and social media videos can be created within this price range. Usually 10 - 20 minutes long or moderately complex, video projects of this size best serve medium and large firms looking for training and promotional material, or people with an important story to tell. Videos that are over 20 minutes or very complex fall into this category. 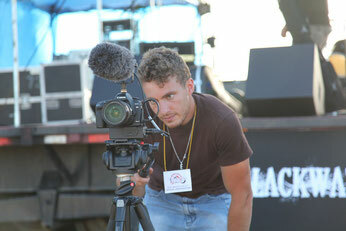 It also encompasses series of shorter videos, or productions that involve specialized equipment.